Ready to go on a fun adventure with your favorite Monster family? 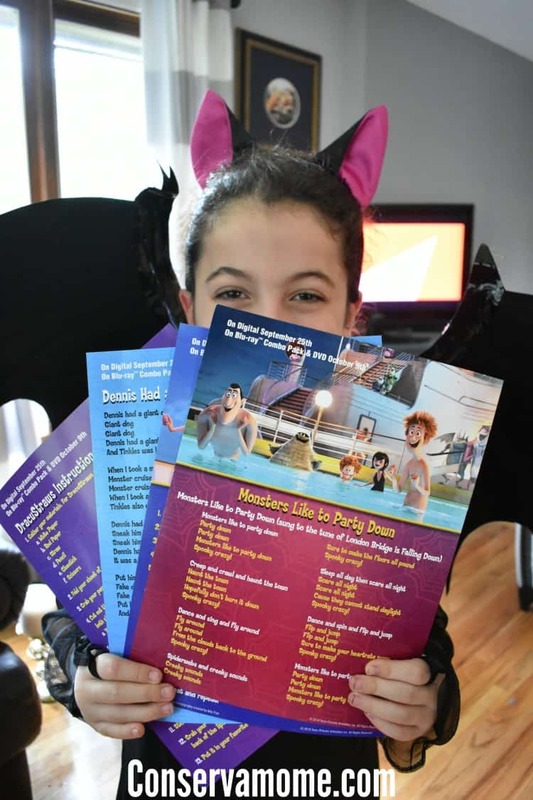 Check out some fun tips for a Hotel Transylvania 3: Viewing Party Fun. Disclosure: I received the items for a fun viewing party in exchange for our experience. This fun set also includes 2 Mini Movies, Puppy! and Goodnight Mr. Foot.Bonus features include fun Monster Party Activities that include: 7 Scary-oke Sing-Alongs, Lyric Video, Dance Alongs, Drac’s Zing-tastic Read along, Mavis & Drac Monster Makeover tutorials and Spook- tacular Sleepover Activities to name a few! 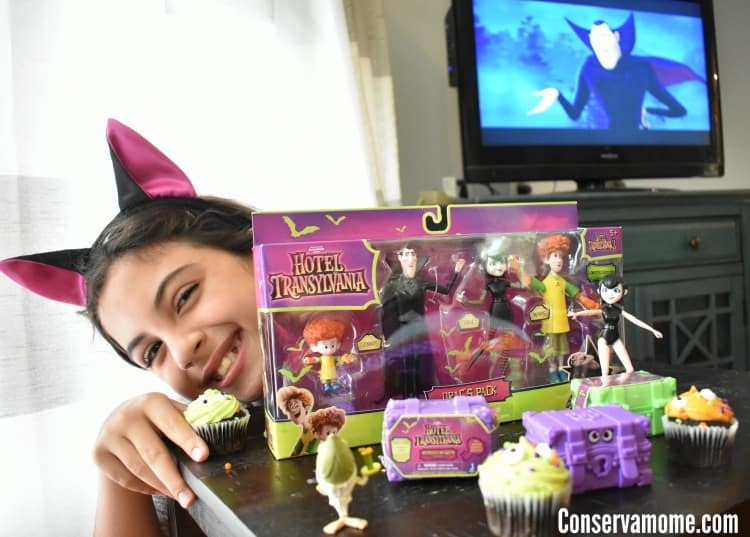 My kids are HUGE Hotel Transylvania fans and couldn’t wait to see the latest installment of this fun series. The movie itself was packed with all the fun, laughs and excitement that we’ve all come to love from these movies. It brings back all of the characters we love, enjoying a fun vacation on the high seas. My favorite was the fact that they included myths like Atlantis and The Bermuda triangle into the fun story line. If you’re a fan of the HT series this movie will NOT let you down. Ready to have your own viewing party ? Make sure and pick up your copy! We also picked up some goodies including cupcakes that we added candy eyeballs to to give them a spooky effect. 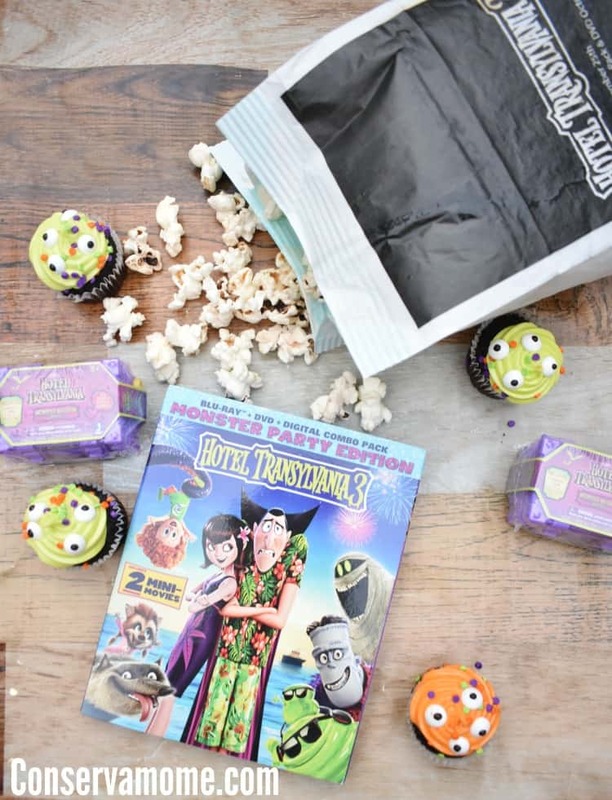 Our gift pack included Hotel Transylvania 3 popcorn but you can make your own to add a tasty treat to your movie fun! 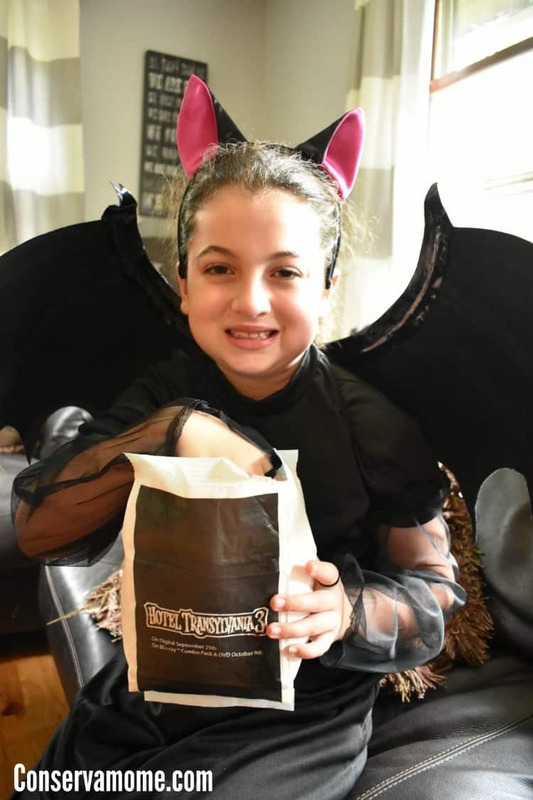 Have your little monsters get into character by graving some of the great Hotel Transylvania costumes like this fun Mavis one! Did you know there are some great licensed toys out there that will help carry over the fun after watching this movie? Including these adorable Mystery characters that come in fun monster trunks, lined up and ready to be checked into the hotel! Each monster trunk comes with a skeleton key to use to unlock the trunk and uncover a mystery mini monster! If you get a lucky trunk, you will also uncover a piece of Hank. Keep collecting to find all the pieces and put Hank back together! Each trunk includes a Mini Monster, Skeleton Key, and Collector’s Guide. Features characters from the TV series and movie! 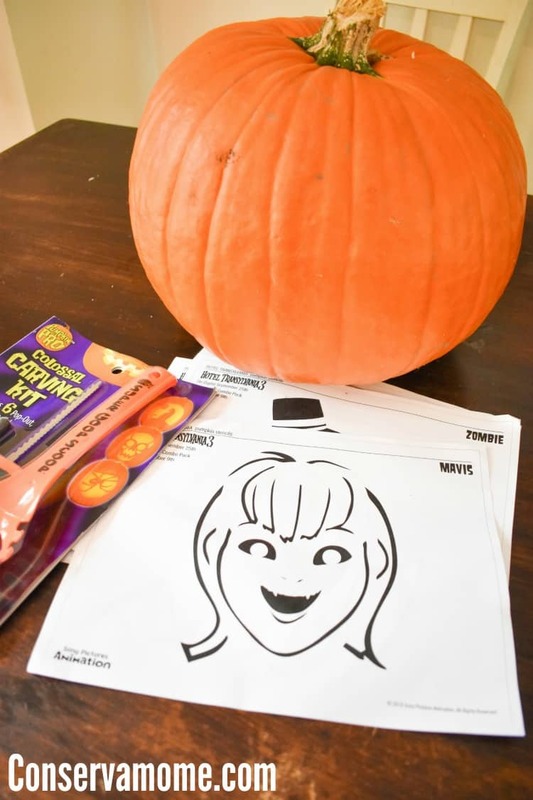 And pumpkin carving you can download the stencils here. There’s so much fun to be had just in time for this movie’s release to Home entertainment. So what are you waiting for? 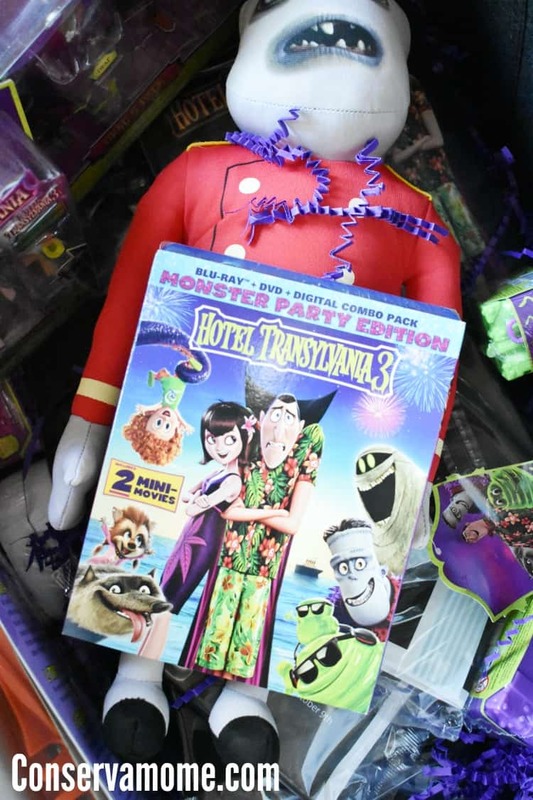 Grab your own copy of Hotel Transylvania 3 and join in this monster of a good time! 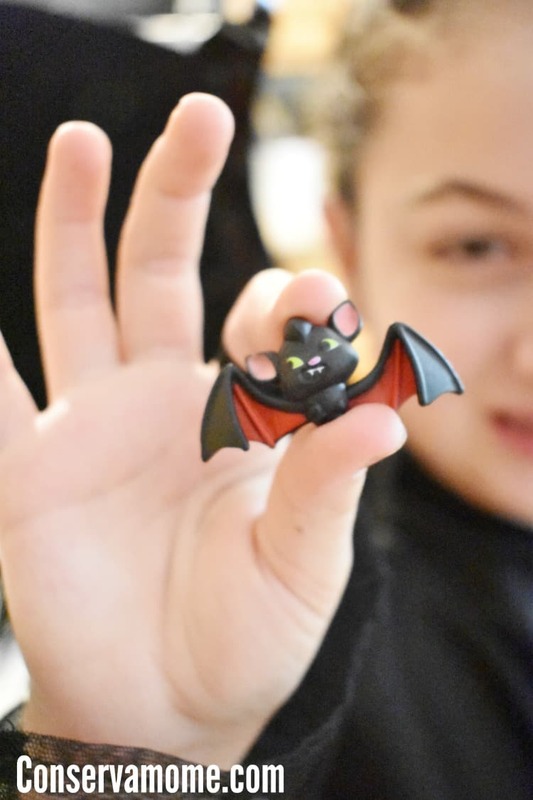 Get social with Hotel Transylvania on Facebook!